Novelty Props, Gag Gifts, Small Toys & More. Laugh it up! This one’s for all the jokers out there, all the clowns and all the mischief makers. Be the life of the party with 1SuperParty and our gaggle of gag gifts and whimsical party favors. 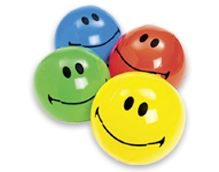 We offer an extensive array of novelty toys, practical jokes and props, miscellaneous trinkets, and so much more--all to help put smiles on faces and keep them there. From costume jewelry to inflatables to delightful little trinkets and toys. Embrace your inner-immaturity and let the good times roll! Shop 1SuperParty for novelty toys, party favors, and gag gifts that’s sure to be a riot for you and everyone in your party.